Dan Hultquist is an authoritative HECM educator who has trained more than 21,000 reverse mortgage professionals nationwide. He is a Certified Reverse Mortgage Professional (CRMP) and co-chairs the Education Committee for the National Reverse Mortgage Lenders Association (NRMLA). He also teaches continuing education courses that serve as annual requirements for CRMPs. Dan is the author of the book Understanding Reverse, which answers the top questions he has received as a national reverse mortgage trainer. John Button is a business-to-business executive, investor and entrepreneur with more than 30 years’ experience in technology and business development strategies. As president and CEO of ReverseVision, John leads one of the country’s fastest-growing technology companies as it serves an industry that is itself experiencing record growth. Jamie Hopkins is associate professor of taxation and co-director of the New York Life Center for Retirement Income at The American College of Financial Services. He also holds the Larry R. Pike Chair in Insurance and Investments at The College, where he teaches courses in retirement, estate planning and life insurance. Hopkins’ law review articles have been published by the American and Pennsylvania Bar Associations and various periodicals. In 2015, Investment News named Hopkins one of its top 40 financial services professionals under 40. He has contributed expert commentary on the strategic use of HECMs in retirement income planning to such outlets as Forbes, The New York Times and The Wall Street Journal. Jeff Birdsell has been one of the reverse mortgage industry’s most sought-after technology experts for 25 years. Over the course of his career, Jeff has produced some of the industry’s most prolific software solutions, including Financial Freedom’s Reverse Mortgage Analyzer (RMA) and ReverseVision’s RV Exchange. He was a founding board member of the National Reverse Mortgage Lenders Assocation (NRMLA) and remains an active board member to this day, serving on both the HUD Issues and Education committees. He has worked closely with HUD over the years as a primary translator of the agency’s guidelines into industry-wide technology protocols. To reach these business experts, please contact Leslie Colley at (404) 390-3830 or leslie@depthpr.com. 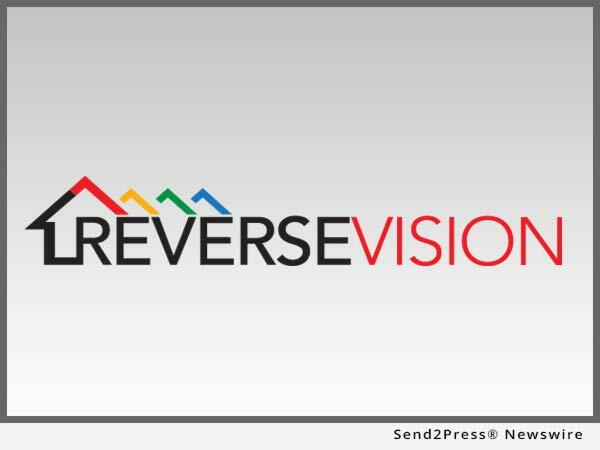 ReverseVision, Inc. is the leading software and technology provider for the reverse mortgage industry, offering products and services focused exclusively on the home-equity conversion mortgage (HECM) and related reverse mortgage programs. With nearly 10,000 active users, ReverseVision technology is used by 10 out of 10 top reverse mortgage lenders and supports more reverse mortgage transactions than all other systems combined. The company’s comprehensive product suite also includes reverse mortgage sales and education tools and a dedicated professional services team. ReverseVision partners with some of the finest and fastest-growing banks, credit unions and lending organizations in the United States to provide its reverse mortgage technology to brokers, correspondents, lenders and investors. A 2017 HousingWire TECH100(TM) company, ReverseVision has also been recognized in Deloitte’s Technology Fast 500(TM) listing. ReverseVision’s annual user conference, the only event of its kind in the industry, brings together more than 200 lenders, vendors and educators each year to advance reverse mortgage lending. The company continues to build on its technology’s pioneering capabilities with frequent enhancements aimed at boosting users’ reverse mortgage volume, workflow efficiency and data analysis capabilities.